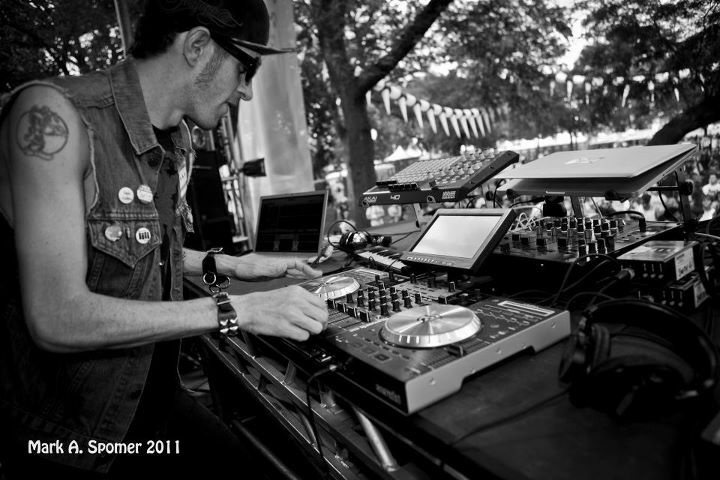 DJ SOLO knows all about performing and working the crowd with his NS6. 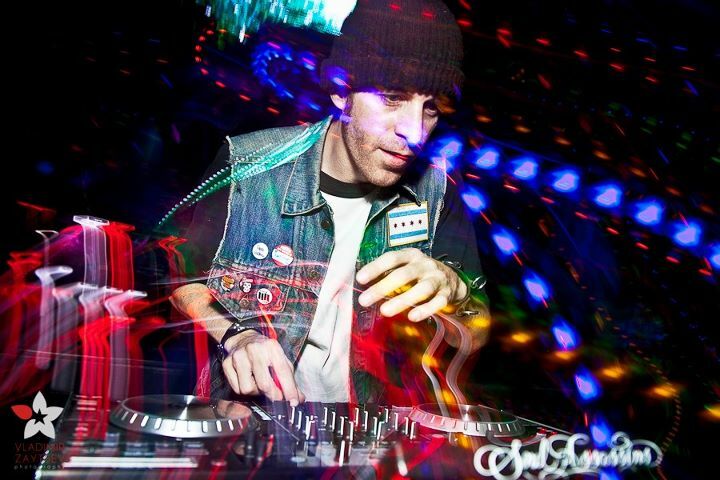 Half electronic bass-head, half punk-rocker-anarchist, and all around mad scientist, Chicago’s own DJ SOLO is way more than just a “DJ”. 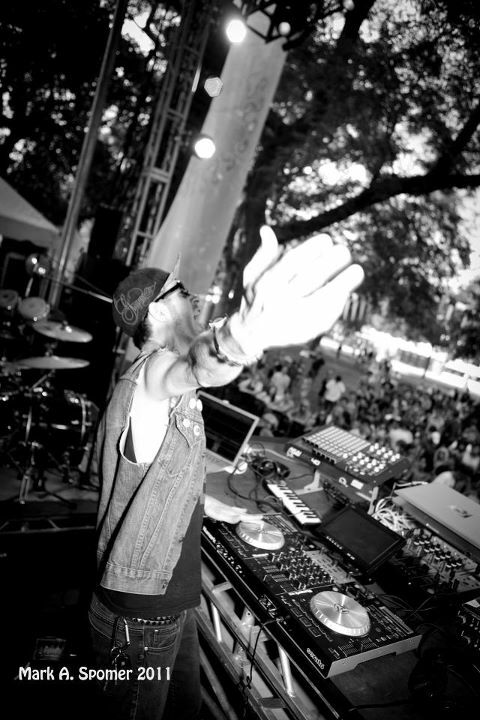 Currently making big waves in the dubstep/drumstep and bass music scene, SOLO continually raises the bar with turntablism and trick mixing techniques, high energy live performances that include guitar playing, rapping, singing, original bootlegs and remixes, and guaranteed face melting or your money back!!! Numark:When did you get your start with producing music, DJing, and face melting? SOLO: I started making DJ style pause tapes with layers of samples on a double cassette deck boombox around age 7. Then around age 12 I picked up a 4-track recorder and a drum machine because I learned to play the guitar and I also rapped, but didn't know any other people to be in a band with so I started making punk rock songs as well as hip-hop beats and rap songs in my bedroom. I've pretty much been in training since then and I guess "face melting" is a level of mastery that comes from lots of practice and hard work. Numark: What do you love most about DJing? SOLO: It's the ultimate level of music appreciation. For a music fan who's listened to all kinds of music and has not only built a mental catalogue of music, but has also learned to play instruments and produce, it combines all of that and puts you at the control panel. Really what I love most is that now the DJ is not just a human jukebox in the back of some dark club, the DJ, as I and many others present it, is a musician, a producer, a performer and it allows you to take your music to the stage without needing a band or anyone else to legitimize that. This is my music and the music I love, this is me performing it for you live. Numark: Where does the name “SOLO” come from? SOLO: Back in the day I was a "one-man-band" called Han Solo, because I was literally a "solo" artist, producing and performing all my own music, as well as a huge Star Wars fan. At some point I dropped "Han" and was just SOLO. Then when I started DJing, I was primarily a hip-hop turntablist and everyone had to have "DJ" in their name so I became...DJ SOLO (all caps!). But the term SOLO is very representative of my life's journey, as infomercial-y as that sounds. I'm the real life Han Solo, wearing a vest, traveling around the country hustlin, with my Chewbacca sidekick in the Toyota Millennium Falcon. Numark: In what ways has the industry changed since you started? SOLO: When I started there WAS an industry! Seriously though, now you don't have to wait for someone in the industry to give you the green light. Anyone can make a dope song in their bedroom, put it on the internet and have instant feedback. If you understand what the "industry" is doing, you can do that at home on your laptop. So now it's a whole new game and you don't have to follow anyone's model...you can make your own. Numark: How would you explain your current sound? 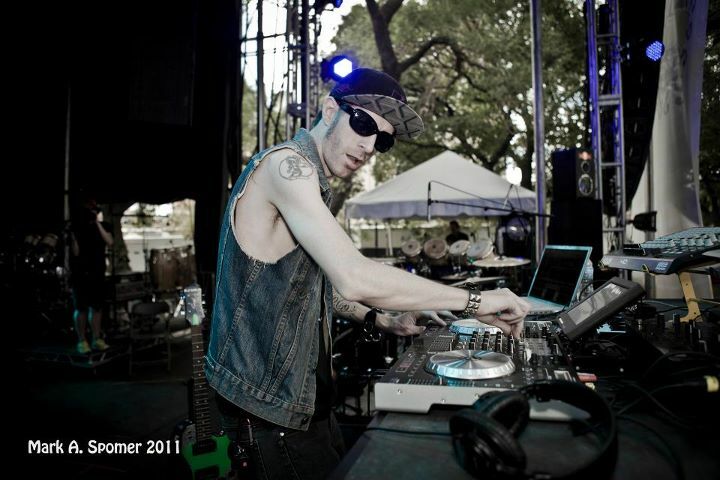 SOLO: It's a combination of several influences, mainly Drumstep/Drum n Bass, Punk Rock, and Hip-Hop. There's a little psychedelic/indie/pop/classic rock thrown in for good measure but for the most part, bass-heavy, fast-paced, aggressive music that you can dance to but still has the attitude of punk rock and rebellion. When I was growing up, the bands that inspired me were the ones that made kids wanna revolt and rise up in unity against the systems that kept us down, so I try to make and play music that delivers the same message: Destruction, but for the purpose of creation. Numark: What do you use in the studio and what do you perform with? SOLO: I use Reason, Cubase and the NS6 in the studio and I perform with the NS6 and my custom Epiphone Special guitar with a Metal Muff distortion pedal. Numark: In what ways has NS6 enhanced your live performances? What creative doors has it opened? SOLO: It's taken a table's worth of gear and made it into a personal workstation. I can perform live mix techniques from traditional mixing and blending, to complex layering, sample chopping, drumming and turntablism, to things that I could only do before in post production. Now anything I can do on a mixtape or recording I can do live. Where back in the day your live mix wasn't as technical as your produced mix, but now there's no difference in style between what you hear on my mix or production and what you hear live. Numark: What is your favorite NS6 feature? SOLO: The cue buttons, those are essential to my style of chopping, drumming, and creating musical breakdowns and buildups wherever I want. Numark: How's the tour going, and who are you playing with? SOLO: The tour was awesome! I was out on the road for a week with Boombox and Sovereign Sect and I went to some places I've never been like Fargo, ND and Iowa City. It was great because both groups and myself are all DJ/Producers who are using DJing as the backbone of what they do and then adding live production and instrumentation to it. On top of that you had 3 totally different flavors of live electronic music done in completely different manners. It's the future of music as far as I'm concerned and I was glad to be a part of that. Numark: Are there artists or genres you enjoy that may come as a surprise to people? SOLO: I'm pretty openly eclectic so I don't know how much I can shock anyone with that, but Danny Elfman is a huge inspiration to me and I've studied most of his film scores as meticulously as I've studied every Beatles album. I'm a big fan of film scores and an equal fan of movies. I try to make my music and mixes more like a movie and have that larger than life, epic feel to them. A lot of that comes from studying how those scores accent the action and then being able to re-create that action musically without the visuals. Numark: What artists would you would like to work with in the future? SOLO: I'd like to work with people willing to help me make a "GWAR-style" stage show and build a DJ SOLO Circus with ten-foot monsters and people getting their head chopped off with lasers and Anarchy Cheerleaders! Anyone interested in being a part of that, holla. Numark: So what’s next on your plate for production after the tour? Anything your fans should look for? SOLO: I have a bunch of new original music that I'm working on and it's really shaping up to be the sound that I've been trying to create for a while. Right now I have several Chicago artists who are making guest appearances on for this album currently titled "Bass Punk Superstar". The vibe is electronic and bass-heavy with the intensity of Drum n Bass and Drumstep, but compositionally a 4-piece punk band with a keyboard player could play it. I'm trying to make music that doesn't sound like someone on a laptop just pressed a bunch of buttons and hit save. I want it to have the human touch but still be electronic and heavy. It's John Conner fighting the future war against the robots with robot technology. Numark: What advice do you have for up and coming DJs and producers? SOLO: Don't listen to what anyone tells you, not even me. "With NS6 I can perform live mix techniques from traditional mixing and blending, to complex layering, sample chopping, drumming and turntablism, to things that I could only do before in post production."